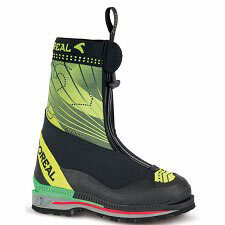 Arc&apos;teryx set out to create the lightest, most durable, best fitting, lowest volume weatherproof double boot ever made and the Acrux AR was the result. 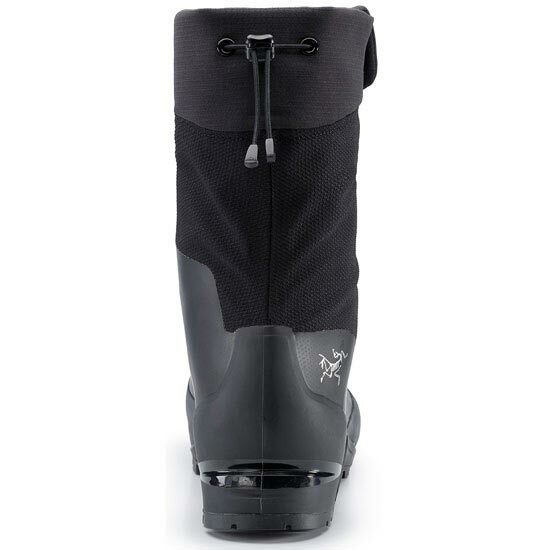 It is a pinnacle of design for mountaineering, and ice and mixed climbing. 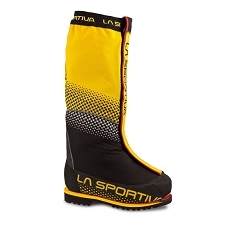 The Acrux AR combines the light weight and low volume of a single boot with the insulation, protection and quick drying properties of a double boot. 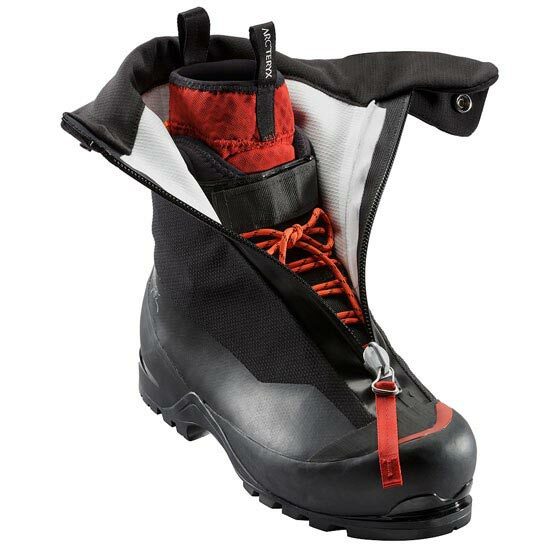 The comfort and support of Arc&apos;teryx Adaptive Fit technology, unique laminated construction, and a wide range of innovative components and materials are all leveraged to meet the dynamic needs of the alpine climber&apos;s foot and the rigorous demands of extreme environments. 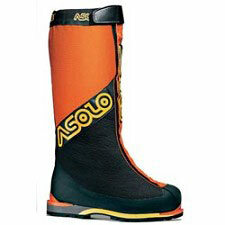 Climbers and professional mountain guides require use−specific performance across a range of alpine conditions and terrain. 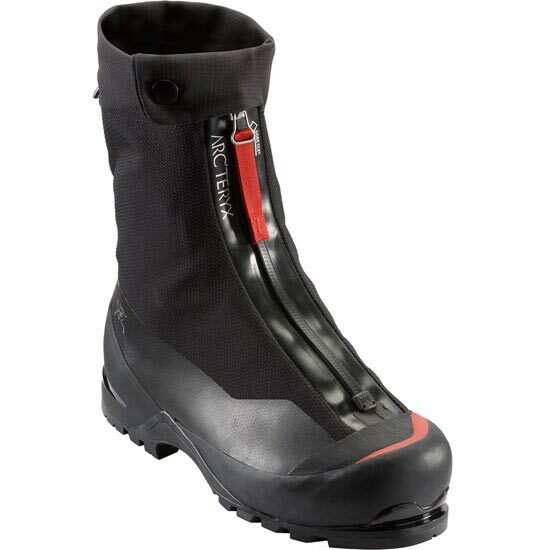 Their boots need to be able to provide support and security on mixed routes, ice climbs and glacial traverses. 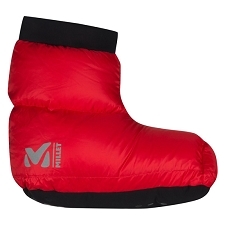 Keeping their feet warm, dry and comfortable are additionally important as well as quick drying if moisture accumulates. 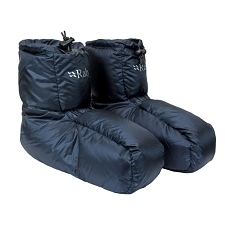 They also have to withstand repeated use on rugged terrain and provide a supportive platform while fitting comfortably on the foot. They need to deliver all of this in a lightweight, low volume package for agility and freedom in extreme situations. Of course this is asking a lot out of a boot but until now, some of these necessities had to be sacrificed in order to meet the others. Arc&apos;teryx took the time to develop and meld new technologies so that the Acrux AR could satisfy the range of climbers needs without compromise. 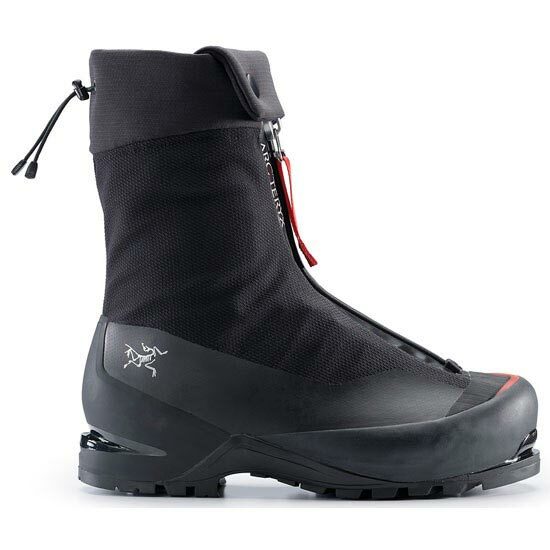 Arc&apos;teryx Adaptive Fit technology uses a removable bootie that employs stretch textiles and minimal seams to create an instant custom fit with no pressure. With protection extended beyond the cuff of the boot and the highest level of breathability in this category, the bootie&apos;s GORE−TEX® membrane optimizes climate control and waterproof benefit. The perforated PE foam&apos;s quick dry properties improve comfort, and a rubberised sole allows the bootie to be used as a camp shoe. 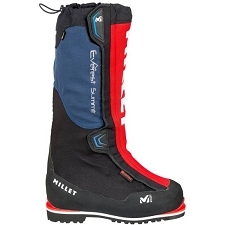 The PE inner shell is preformed to compliment the bootie&apos;s Adaptive Fit performance while providing insulation and a secure foothold. 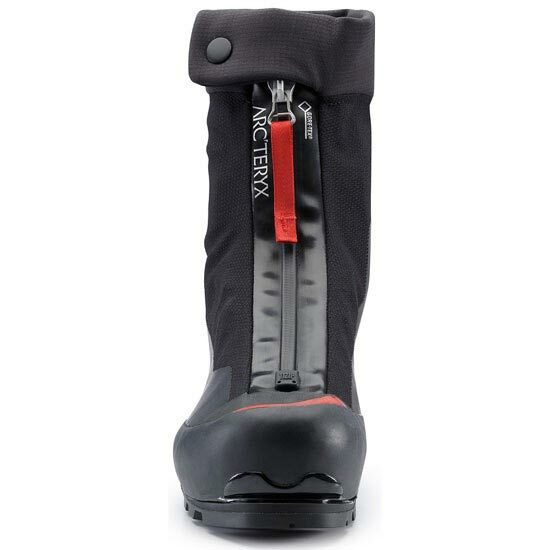 Laminated Watertight™ construction and an exceptionally breathable GORE−TEX® gaiter deliver total protection from water with a high level of abrasion and puncture resistance to offset potential damage from crampons and rock. 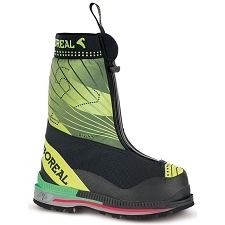 The specially developed Vibram® AR outsole is designed for support and sure footedness. 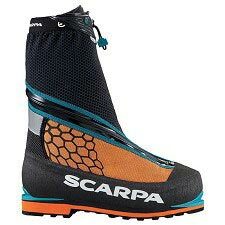 The tread and construction feature a semi−blocked toe, with anti−slip grooves, a medial climbing support zone, and heel created to provide braking on steep descents. 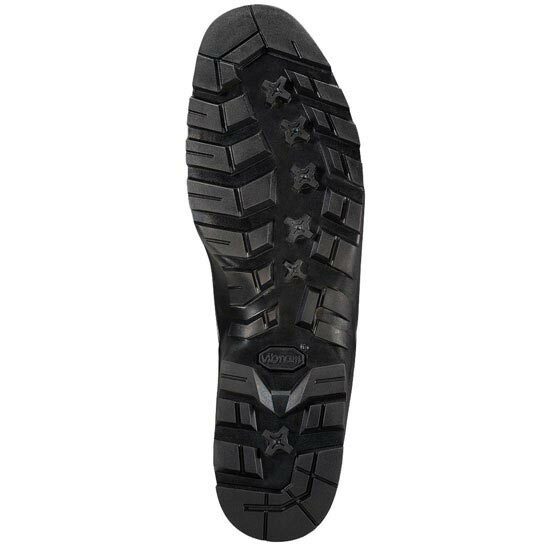 The Vibram® Mont rubber compound maintains its performance in sub−zero conditions. 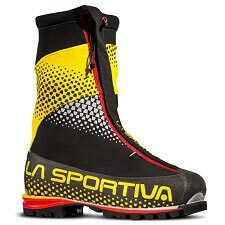 Years in the making, the Acrux AR is an unprecedented achievement that meets the full spectrum of performance being one of the lightest, most durable, and lowest profile insulated double boot available. Customer Opinions "Acrux AR Gtx"